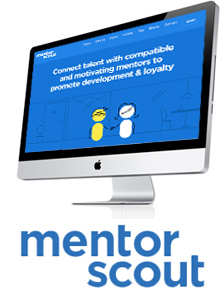 During this webinar, we conducted an open format discussion with the award-winning Toyota mentoring administrator and Mentor Scout's 2013 Mentor of the Year, Sandy Gerster and Mike Lutz, as they shared Toyota's best practices to developing and maintaining an effective, results-oriented mentorship program. They shared their stories, achievements, and lessons learned about strategies, methodologies, activities and resources that can help your organization start a new mentoring program or make your current mentoring program even more successful. The session was led by Laura DiFlorio and will also include internationally-recognized mentoring program expert Beth N. Carvin, CEO of Nobscot Corporation and its Mentor Scout division. In this webinar, Sandy, Mike and Beth shared best practices and key concepts in corporate and association mentoring. The case study discussion included program rollout and management tips, as well as how this top organization measures the success of their initiatives. In this webinar, attendees learned how Toyota develops their high potentials, creates career paths and advancement opportunities for their employees, and improves employee retention. It also included substantial time for audience participation so there was good Q&A after the presentation.